Then it was time to get serious about the painting process. Velvet Finishes was more than generous and supplied all of us that are participating in Makeover Madness Blog Hop the paint of our choice. There are lots of amazing colors to choose from. My choice for paint was Timeless. 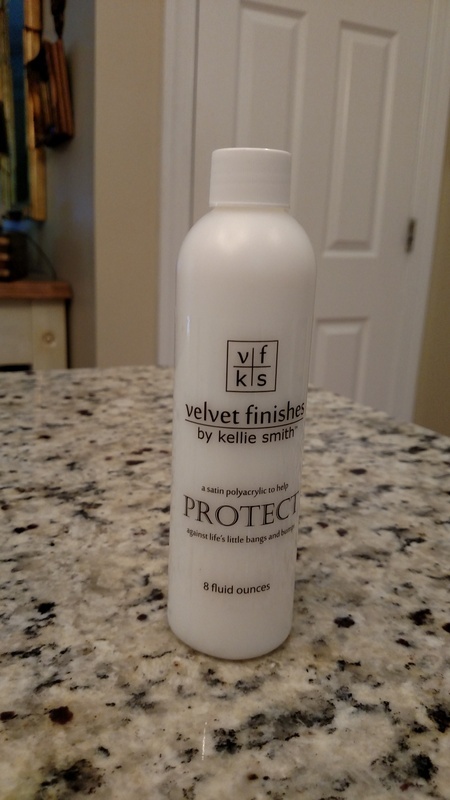 In addition to paint,Velvet Finishes has a product called Protect. Think of this as a sealer, it is a specially formulated, commercial grade, non-yellowing satin polyacrylic that in addition to sealing the paint it gives a nice sheen. 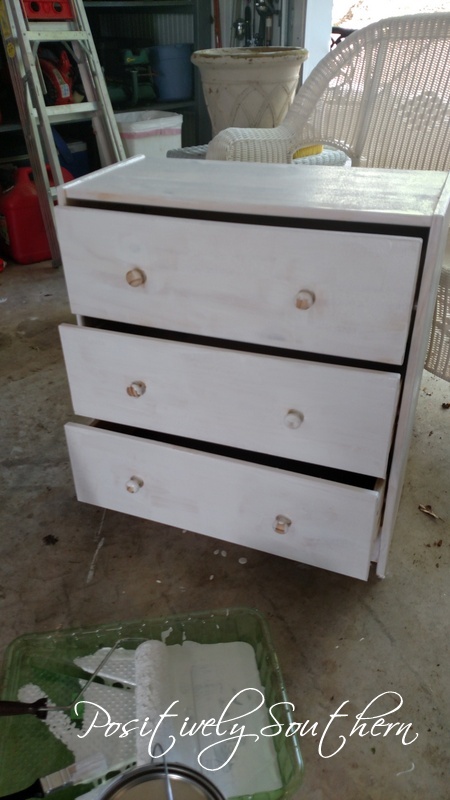 Since this was my first venture into the world of painting furniture I wasn't sure what to expect. It was a relief as soon as I swiped my first coat of paint on. Velvet Finishes practically glides across the surface. I could have applied the paint to the chest even without having used Kilz. Much to my surprise you could not see the roller marks or the brush marks even with just the one coat. It dried very quickly, wasn't tacky to the touch which was a HUGE plus! 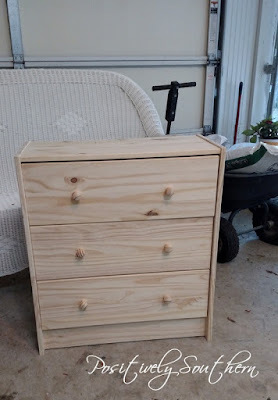 To pretty the chest up even more I added brass angles to each corner on each drawer, along with a brass nob. The way this piece turned out far exceeded my expectations! I believe it is positively gorgeous! 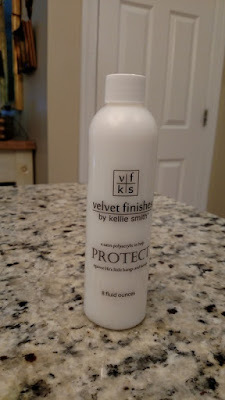 I can not sing the praises of Velvet Finishes loud enough! One more thing I'd like for you to know I have asthma which always causes me concern with anything that might have an odor. After applying both the paint and the protect there is hardly an odor. Now be sure to hop on over to Green With Decor for you next stop on the blog tour. Be sure and stop by the other bloggers on the tour and look for our special hashtag #makeovermadnessbloghop on Instagram for inspiration! Tam, this looks like a high end piece of furniture! My goodness, the color is bu-ti-ful. I love the brass touches and you can move this charmer all over your home. Wow! Now that is a great transformation! I love the brass hardware! 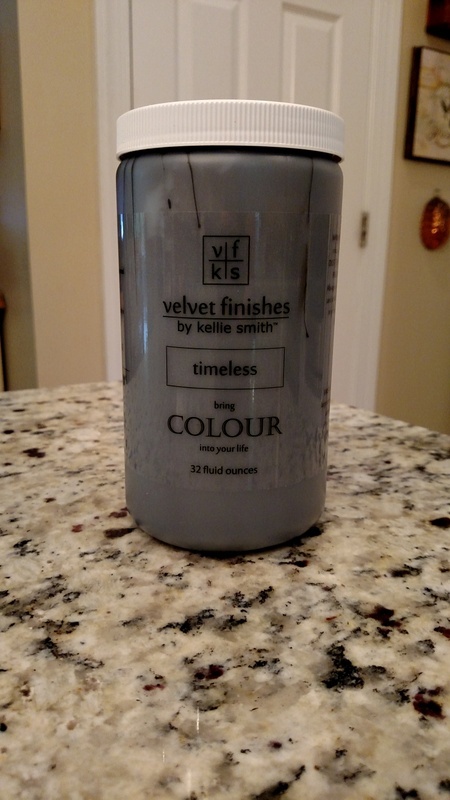 I am glad to hear how well the Velvet Finishes paint worked out. I ordered some for a project but I have never gotten around to using it yet. This is gorgeous!! I love the paint color with the brass accents! 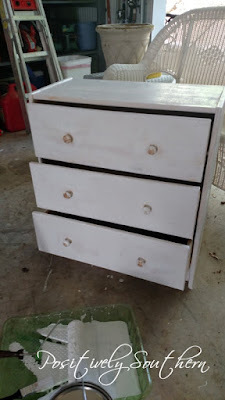 Tamara, I just love your dresser. The combination of grey and brass is always a winner in my book. I love how this turned out! Especially the gold accents, great job! I love your color choice and the gold accents are amazing!! Great job! !